Providing you the best range of wooden dynamic trolley and pith ball pendulam with effective & timely delivery. 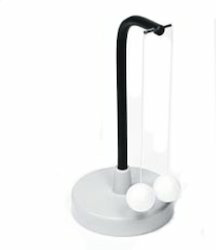 Pith Ball Pendulam :- With insulated arm on tripod metal / Bakelite Base. Looking for Physics Laboratory Equipment ?